Debbie Reynolds, Iconic Actress, Dies One Day After Her Daughter, Carrie Fisher : The Two-Way The star of Singin' in the Rain — as well as more than 50 other films — died just one day after her 60-year-old daughter, Carrie Fisher. Reynolds starred on Broadway, TV and even had a No. 1 single. 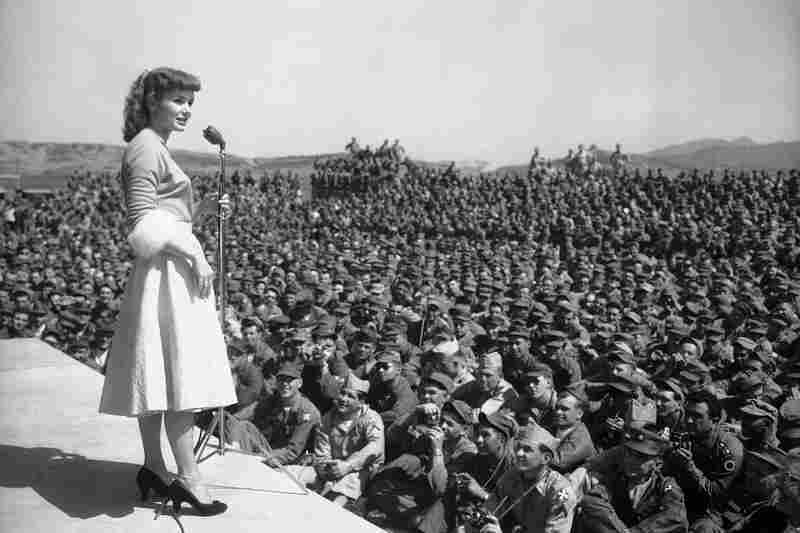 Debbie Reynolds entertains soldiers at the 8th Army headquarters in Seoul, South Korea, in 1955. 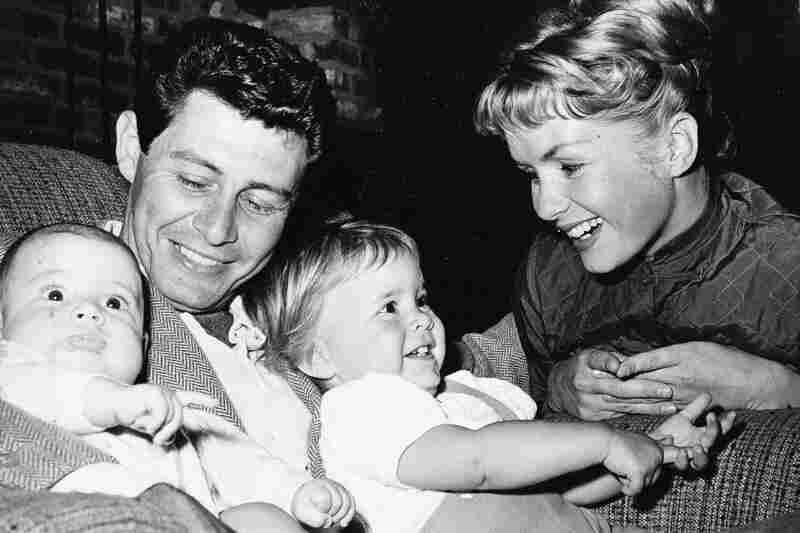 Singer Eddie Fisher and actress Debbie Reynolds cuddle their two children, 4-month-old Todd (left) and 19-month-old Carrie, in 1958. Gene Kelly and Debbie Reynolds from the movie Singin' in the Rain. Debbie Reynolds holds out her hand to display her wedding ring as she stands beside multimillionaire shoe magnate Harry Karl following their wedding at Beverly Hills, Calif., in 1960. 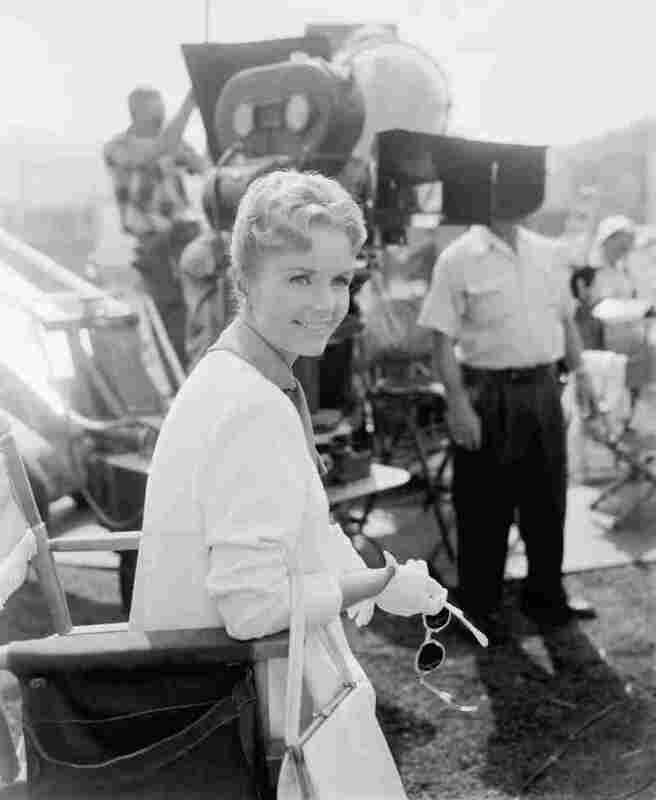 Debbie Reynolds on the set of The Singing Nun in 1965. 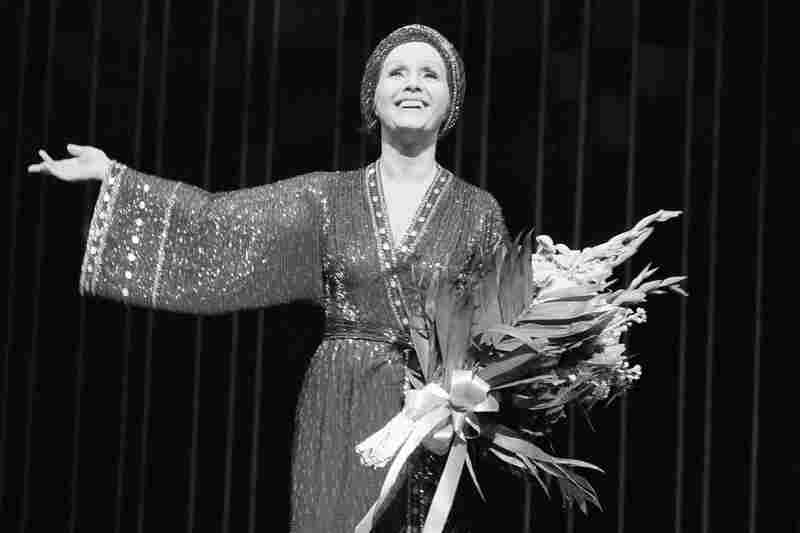 Debbie Reynolds takes a curtain call after a performance of Woman of the Year at New York's Palace Theatre in 1983. Debbie Reynolds poses at the Chamber of Commerce luncheon in Century City, Calif., in 1983. 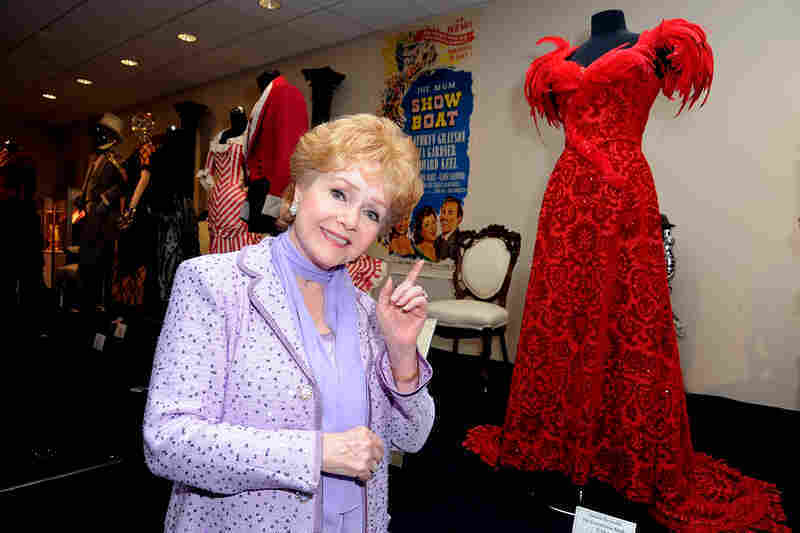 Debbie Reynolds poses with a costume she wore in The Unsinkable Molly Brown at The Paley Center for Media's Reception for "Debbie Reynolds: The Exhibit" in 2011 in Beverly Hills, Calif.
Carrie Fisher presents her mother with the Screen Actors Guild Life Achievement Award in 2015. 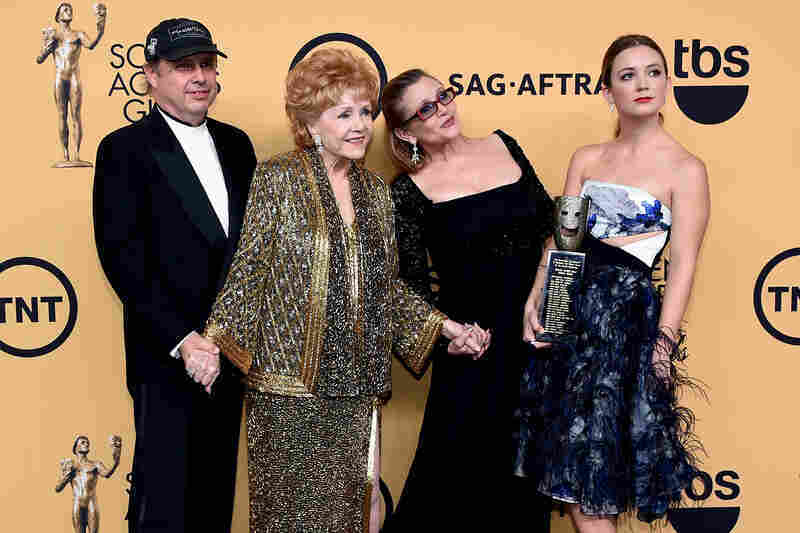 Debbie Reynolds poses for a photo with her son, Todd Fisher, daughter, Carrie Fisher, and granddaughter, Billie Lourd, after Reynolds received the Screen Actors Guild Life Achievement Award in 2015. Debbie Reynolds, an iconic actress whose career spanned the big screen, the TV screen and the Broadway stage, has died at the age of 84. She died Wednesday, NPR has confirmed — just one day after the death of her daughter, actress Carrie Fisher. Reynolds' career stretched for decades. In that time, she starred in more than 50 films, including the musical Singin' in the Rain, as well as two Broadway shows and two TV series. As if that weren't enough, Reynolds also recorded a No. 1 hit single in 1957: "Tammy," the theme song to one of her greatest successes at the box office, the film Tammy and the Bachelor. That song also earned a nomination for an Academy Award. But before Debbie Reynolds became a Hollywood mainstay, she was a beauty pageant contestant named Mary Frances Reynolds. It was there, at a pageant in California, that Reynolds earned the respect of a talent scout in the audience. And eventually she earned a film contract, too. 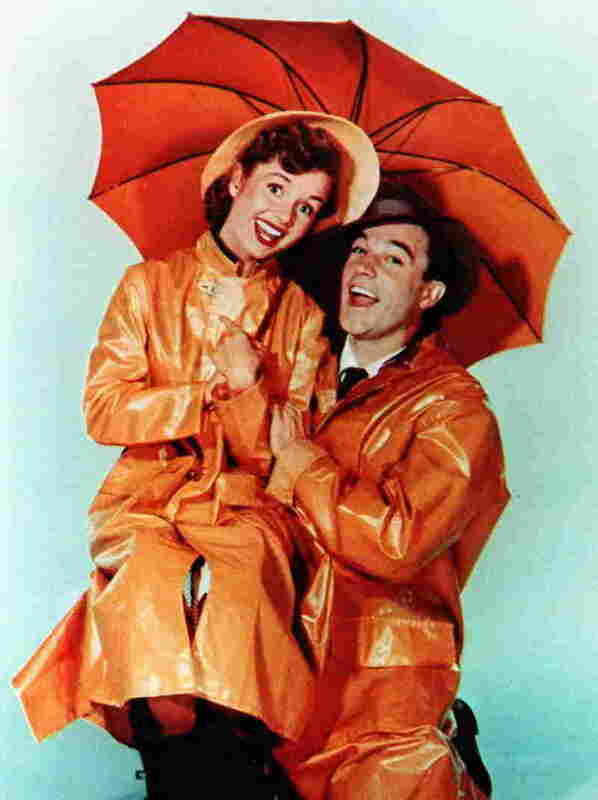 Still, Reynolds made a handful of big-screen appearances before she landed her big break: the lead role in the 1952 musical Singin' in the Rain. Reynolds, then just 19 years old, was perfect for the part of Kathy Selden, but for one rather glaring detail — Reynolds did not know how to dance at the time she was cast. "Reynolds had studied gymnastics," notes NPR's Neda Ulaby, "but for the movie, she practiced tap dancing for up to 14 hours at a time." She had just six months to get all the choreography down, Reynolds told NPR's Scott Simon in 2013. But she said Gene Kelly — the director, choreographer and star of the film — helped bring her up to speed. "He was a great dancer, so everything was hard," Reynolds recalled during the interview. "I had to keep up with the boys. But I did it; God was with me. And I learned a great deal from Mr. Kelly." It was just the start to a spate of films starring Reynolds, who quickly became one of Hollywood's most bankable stars. 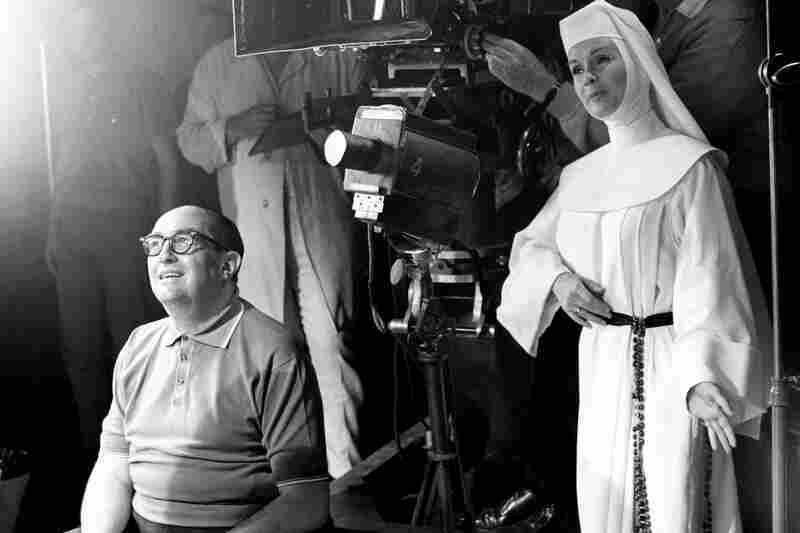 As The Los Angeles Times reports, Reynolds acted in more than 30 films between 1950 and 1967 — during which time she earned an Oscar nomination for her acting work in 1964's The Unsinkable Molly Brown. But even as her name topped marquees, her tumultuous life off-screen grabbed headlines, too. In 1958, Reynolds' first husband, Eddie Fisher, left her for her longtime friend, Elizabeth Taylor. Reynolds had attended studio school with Taylor when both actresses were quite young, and they had remained friends for years until the very public breakup of Reynolds' marriage. As Reynolds' marriage — not to mention her friendship with Taylor — broke down, the media took notice. Carrie Fisher, a child of that ill-fated marriage, described the scandal for NPR in 2008: "My mother and father were the Brad and Jennifer of their generation." And, as Neda adds, "They stirred up as much publicity as Brad Pitt and Jennifer Aniston would later on." 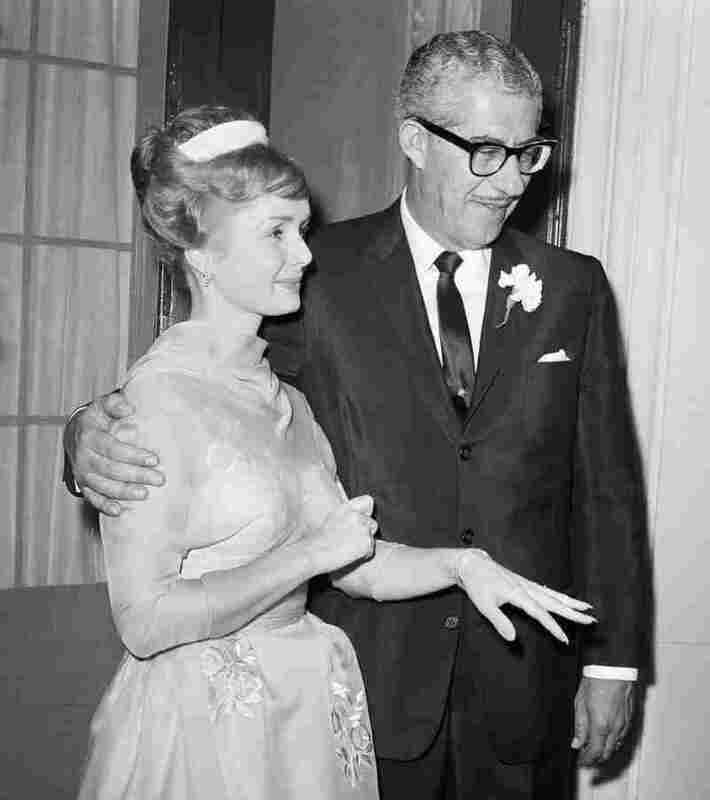 Reynolds later remarried twice — and divorced again twice. But through it all, Reynolds' star rarely dimmed, on-screen or off. Beyond her Oscar nominations, she earned nods for an Emmy and a Golden Globe. Last year, she won the Jean Hersholt Humanitarian Award from the Academy of Motion Picture Arts and Sciences, for her activism on behalf of mental health awareness. And she starred alongside several generations of film stars, from Fred Astaire and Frank Sinatra all the way through to Albert Brooks and Debra Messing, who played her daughter in the TV show Will and Grace. In an Instagram post, Messing remembered Reynolds as "pure energy & light when she came on stage." Reynolds' own daughter, Carrie Fisher, died at the age of 60 — just one day before Reynolds. Fisher died after suffering a heart attack last Friday aboard a plane from London to Los Angeles. 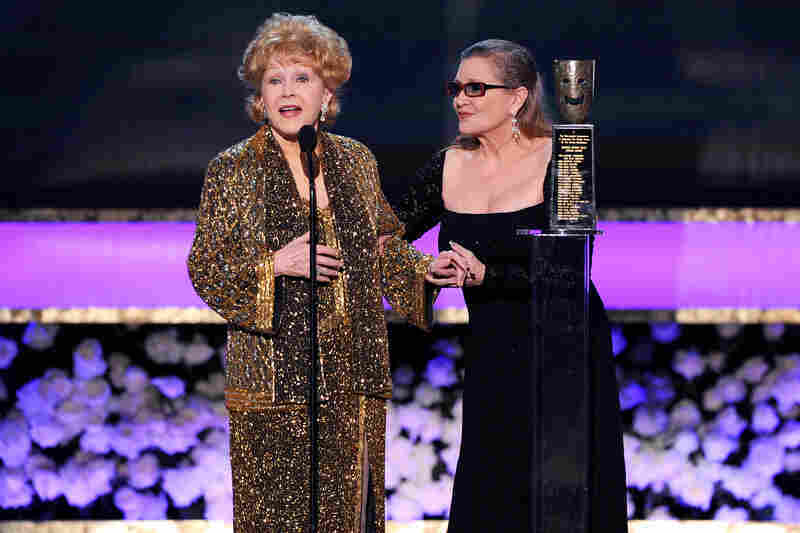 "After his mother's death, Todd Fisher said yesterday that Debbie Reynolds wanted to be with Carrie," Neda reports. A previous version of this story misidentified Cedars-Sinai Medical Center as Cedar-Sinai.